Commander Anna? …Oh, she’s not here. I wonder where she went? The Commander just left with Fjorm, joining the Special Water Blessing Team – which, coincidentally, brings me to the topic of today’s tip. Namely, that if you send a Hero that has been given a water blessing into battle alongside Fjorm during the water season, that Hero’s Spd will increase. Wow! Anna was already pretty light on her feet to begin with, but now she’ll be zooming across the battlefield like there’s a big half-price sale on the other side! 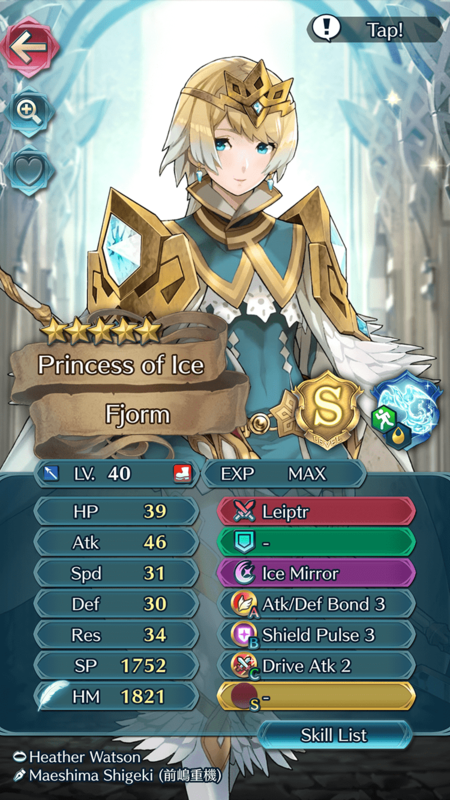 Heroes that have had a water blessing conferred can receive a Spd+3 boost if the water season is active and Fjorm: Princess of Ice is in the same team. Can be obtained from a Starter Support Pack. Increasing his Spd helps to prevent enemies from initiating follow-up attacks against him. Higher Spd gives Anna more opportunities to perform follow-up attacks. Takumi’s Threaten Spd skill reduces the Spd of nearby enemies, giving him a significant advantage.